Find My Workspace lists over 95% of the business centres market in Lichfield. Simply click Request Quote to check pricing for one office, or Add to Basket for multiple offices. These are bright, airy, modern and well presented office suites with a communal social area, shared kitchen, and male & female toilets. Some of the amenities and perks to enjoy are broadband internet, 24-hour access, board room, CCTV, on site parking, access to meeting rooms and more. Located just a s short walk to mainline, railway Station access to London Euston (circa 1 hour 20 minutes Virgin) and the North West from Lichfield Trent Valley Station. 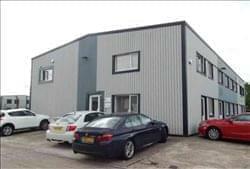 Also at close proximity to the National Motorway network – M6 Toll – 5 minutes and A38 trunk road.